NHS hospitals in England have been asked to reach out to staff from other EU countries about continuing to work for the service after Brexit. 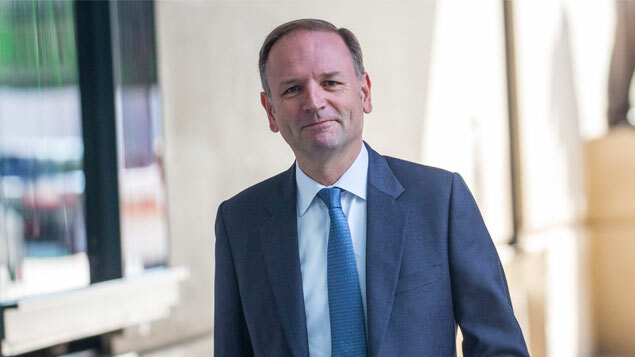 NHS England chief executive Simon Stevens said all NHS trusts had been written to, urging them to reassure the service’s 60,000 employees from the EU who might be worried about what their options are. According to the Nursing Times, EU nationals make up 5.6% of NHS England’s workforce. But data from the Nursing and Midwifery Council last autumn showed a 67% increase in the number of nurses and midwives from other EU countries leaving the register and an 89% reduction in EU nationals joining it. However, the exemption of doctors and nurses from the restrictions to the number of Tier 2 visas for non-EU skilled workers is expected to help ease the service’s staffing crisis. Stevens also indicated that there would be a 25% uplift in the number of “home grown” British doctors as five new medical schools are expected to open in the next few years. He said the same needed to be done for nursing and other disciplines. The NHS celebrates its 70th anniversary this week. Meanwhile, the British Chambers of Commerce has published 24 “real-world” questions that urgently need answering ahead of the UK’s withdrawal from the EU. The list includes: ‘Will I be able to hire EU nationals in future – and under what conditions?’, ‘Will business travel between the UK and the EU involve further administration, costs or visas?’ and ‘Will my business be able to move skilled staff members between the UK and the EU in future?’. Adam Marshall, director general of the British Chambers of Commerce, said: “Over the past two years, businesses have been patient. We have supported the government’s drive to seek the best possible deal for the UK economy. “Now, with the time running out ahead of the UK’s exit from the EU, business patience is reaching breaking point. “Businesses have every right to speak out when it is abundantly clear that the practical questions affecting the competitiveness of their firms and the livelihoods of millions of people remain unanswered.